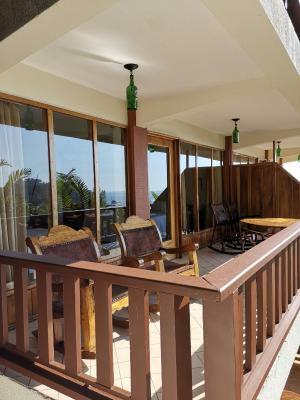 Lock in a great price for Hotel Costa Verde – rated 9 by recent guests! 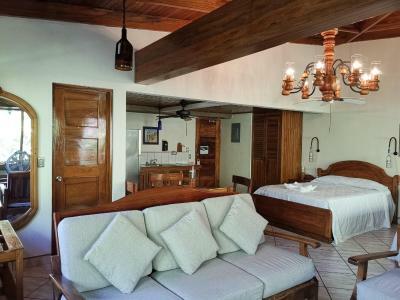 The location is great, about 5 minutes from Manuel Antonio national park. The breakfast is to die for, even though it was not included. 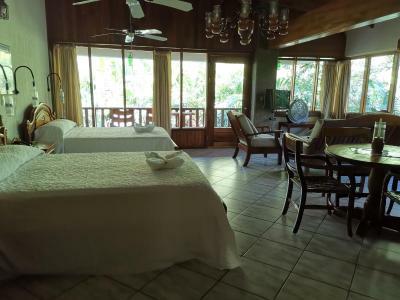 The facility setting is unique and enhances the rain forest feel of this part of Costa Rica. The pools and views are fantastic. There are four restaurants associated with Costa Verde that are very good choices for breakfast, lunch and dinner. 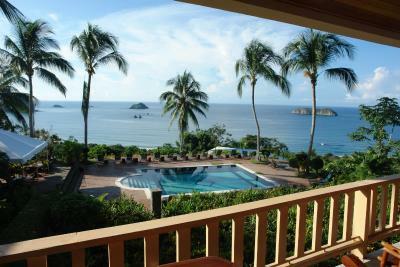 The hotel is also very convenient for a tour of the Manuel Antonio National Park. The views were spectacular!! The staff was very accommodating...transportation to area restaurants was a plus. Rooms spacious and patios lovely!The whole setting with native plants and ocean view were gorgeous! Room was huge and immaculate and had refrigerator, dishes, stove, microwave. Facility was large, clean and BEAUTIFUL. The grounds were full of wildlife. The pools and the views were spectacular. 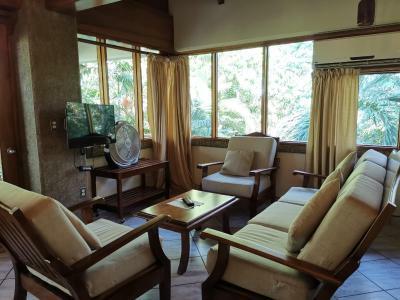 It was very pleasant to stay, a lot of nature around and the accommodations were very nice and comfortable. This was a fantastic place! We loved the proximity to restaurants, which had great food. The staff were so helpful and the property had a magical ambiance. 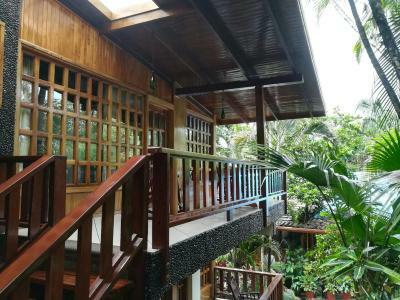 Location, tropical forest, ocean view, pool and monkeys! Restaurant staff and bar tender very friendly. 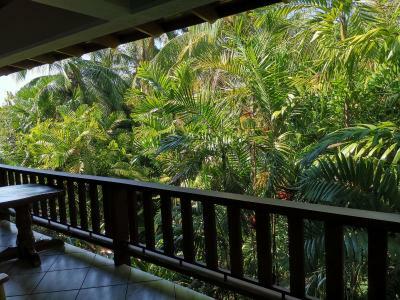 You can see a variety of animals from your balcony . 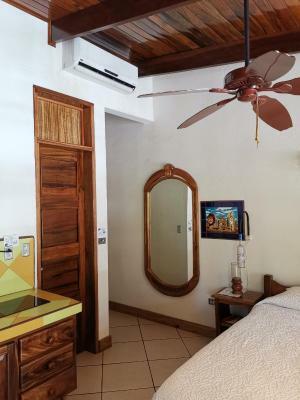 Hotel Costa Verde This rating is a reflection of how the property compares to the industry standard when it comes to price, facilities and services available. It's based on a self-evaluation by the property. Use this rating to help choose your stay! Located 3.7 mi from Quepos and surrounded by vegetation, Hotel Costa Verde offers 3 outdoor swimming pools. Free WiFi access and free private parking are offered. 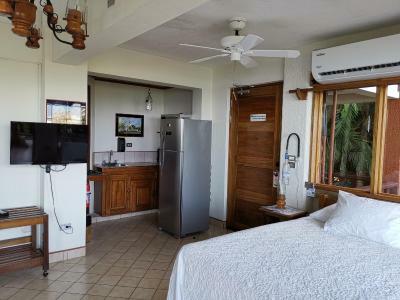 Each air-conditioned room at Hotel Costa Verde will provide you with a TV, a balcony and a full kitchen with a refrigerator and kitchenware. Featuring a shower, the private bathroom also comes with a bath and a hairdryer. 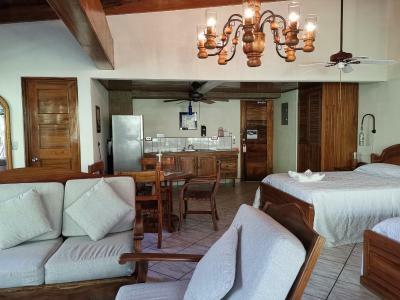 At Hotel Costa Verde you will find a restaurant, meeting facilities, and tour desk. An array of activities can be enjoyed on site or in the surroundings, including horseback riding, hiking and fishing. Also, you will find a luggage storage. 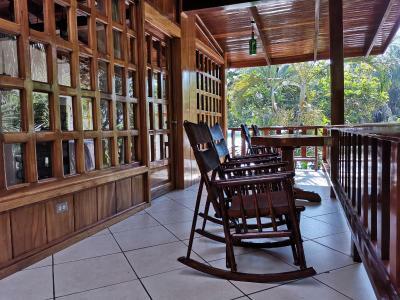 Playa Espadilla Norte beach is located 1,300 feet from the property, while Manuel Antonio National Park is about 0.6 mi from the hotel. Juan Santamaría International Airport is 42 mi away. 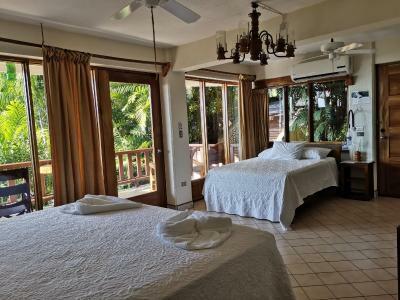 This is our guests' favorite part of Manuel Antonio, according to independent reviews. When would you like to stay at Hotel Costa Verde? 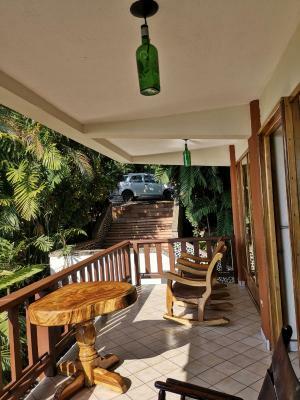 Each room is equipped with a king-size bed along with a double bed, or two double beds, flat screen TV, kitchenette with microwave, and a spacious balcony with partial jungle views. This double room has a balcony, kitchenware and tumble dryer . 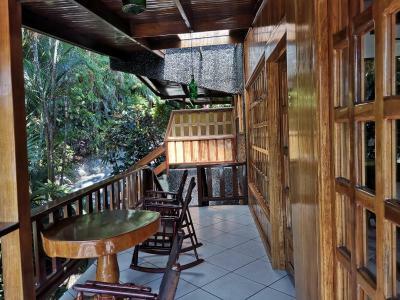 This studio features a balcony, flat-screen TV and dining area. 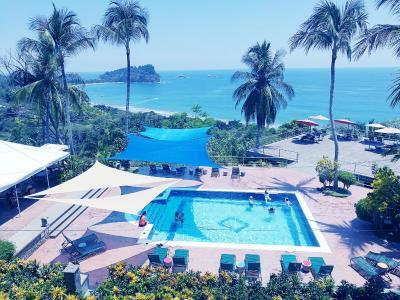 On a coastal rainforest bluff nestled between Manuel Antonio National Park and incredible Pacific Ocean vistas that will take your breath away, Costa Verde is a vacation adventure, tropical wedding or honeymoon destination. House Rules Hotel Costa Verde takes special requests – add in the next step! Hotel Costa Verde accepts these cards and reserves the right to temporarily hold an amount prior to arrival. 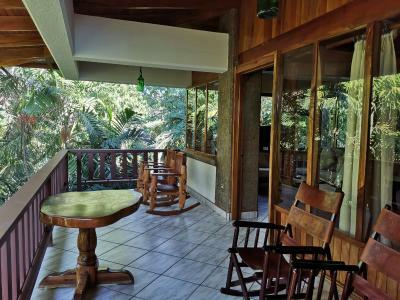 The views, the quirky designs, the room, the proximity to the beach, views over Manuel Antonio (Sea room in B Block). Breakfast (a la carte) was reasonably priced with excellent selection and good quality. We loved our stay here beautiful view, everyone working here was friendly and helpful, easy to book tours through front desk, very clean rooms. Multiple pools, monkeys and iguanas and other animals right off the deck. Fantastic place to stay! Everything was excellent! We saw monkeys on the roofs, parrots flying by and iguanas next to you in the sun. Nice restaurants around. Pools with an ocean view. Very close to Manuel Antonio NP. Rooms tidy and comfortable. Staff nice and helpful. Real tropical paradise! I traveled with kids and there are no kids friendly pools, although they say there are two pools for kids, they are very deep, the adults pool, however is gorgeous. When staying for many days it would be nice to have drawers to put clothes into instead of having to rummage through a suitcase. 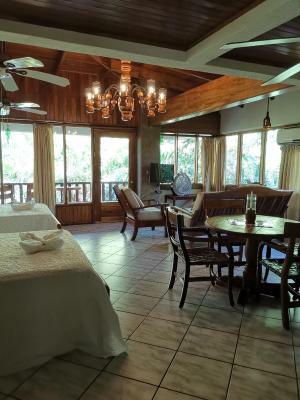 To be fair this must not be typical in Costa Rica because none of the hotels we stayed at had this either. Be aware that you are right next to the main road to the beach and Manuel Antonio NP entrance and so during the holidays and at weekends the road traffic noise can be bad. The ease of either catching the bus outside the hotel or walking down through the gardens more than made up for this though. The views from block B were incredible, especially the sunsets across the bay. We had visiting monkeys on the balcony on the last morning and a sloth crossing the road hanging by the telephone cables/ power lines. The free lift up to the hotel's affiliated restaurants was really appreciated. Expensive, enormous hotel with many areas. Very commercial feel, no personal touch. Main pool area shown in Booking.com pictures not accessible for children which was not mentioned previously. First room had no view, only after insisting we got a better room after 2 nights. Overpriced restaurants and services, especially El Avion! The beds were very hard! Fantastic place to stay with an amazing view from our room. There was so much wildlife to see! 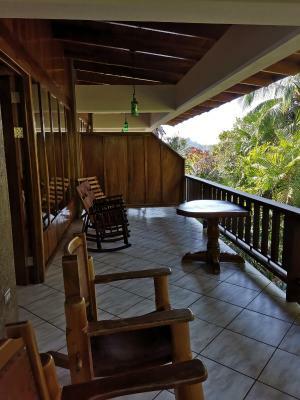 We saw toucans, humming birds and monkeys from our deck everyday! Restaurants were good and great pools.